Dating these days can be quite complex. While there are definitely more than enough people in the world to fall in love with, finding “the one” can be a challenge, especially when one has certain requirements that one is looking for in a particular soul mate. Luckily, the emergence of the Internet has made dating a little easier to manage. With so many niche dating websites out there, searching for one’s perfect match online has become almost like online shopping. While technology is still a ways away from creating one’s dream mate from scratch, online dating is really the next best thing. Through online dating profiles one is able to easily select what he/she is looking for in a mate. Not only is one able to narrow down one’s search once on a dating site, but crafting one’s future lover starts by the type of dating site one decides to create a profile on. For Indian’s, Shaadi.com is the perfect site to find other men and women from the same nationality to date and develop relationships with. There are certain nationalities that for one particular reason or another prefer to date only within the same race. Particular, the majority of Indian men and women like to only date and marry other Indians. While there are exceptions to this, for those of this race who are looking for love it can be sometimes difficult to find people to date, especially when there are not many people of the Indian nationality in his/her community. Founded in 1996, Shaadi.com has been matching Indian singles and has become one of the top five web sites in all of Indian. There are currently more than 10 million Asian members with 6,000 new profiles being created every day. In addition, the site reports that since the site went online, it has been responsible for introducing life partners that has resulted in over 1.3 million marriages. Most members tend to be from the middle-class with about 70% of them from India overall. The Shaadi website has a clear, user-friendly layout which makes it easy to navigate and the registration process is comprehensive, but can also be quite lengthy. However, more detailed questions can be skipped and filled in at a later date, making the initial registration a less daunting experience. 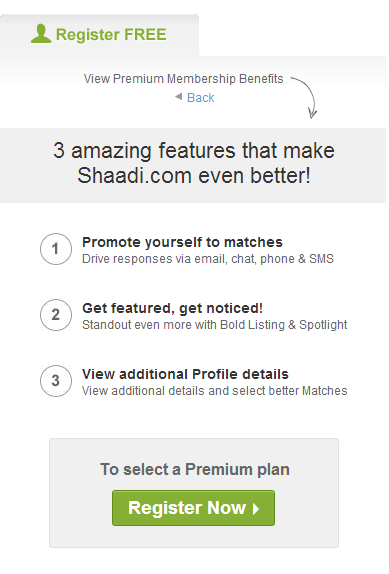 Profiles on Shaadi.com can be created by the user looking for a husband/wife, or for their family member or friend to look on their behalf. If you need help when registering or while using the service, your question will almost certainly be answered in the comprehensive help section which includes an explanation for all sections of the website. As part of one’s membership, they have access to 24/7 customer support which can not only help you with any technical issues on the site but is also there to provide guidance on profile set up as well as quality assurance. What is also a huge differentiator compared to other sites is that Shaadi.com has over 150 brick and mortar Shaadi.com Centers in 87 Indian cities. 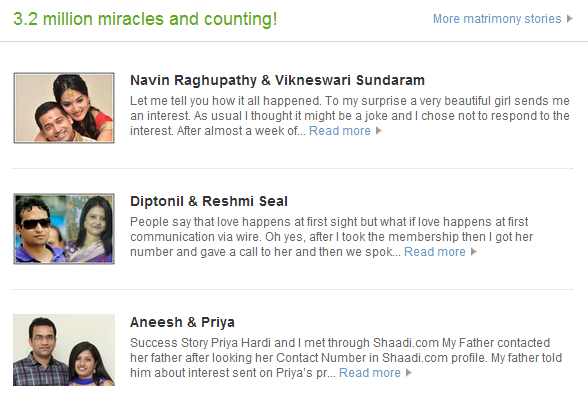 This feature allows the profile users to review the potential matches with a Shaadi relationship expert. This service is also set up mainly because in Indian culture parents are very involved in finding their son/daughter a suitor. The in-person center allows parents and children to go over the dates on the website and makes sure that the parents are not left out of the matchmaking process. In addition, parents are allowed to login to the service and aid their child in the selection process. The search functionalities of Shaadi are also very extensive. One is able to search by typical features that are common among most dating services such as: physical details, location and income. In addition, one can search categories that are more distinct and important to Indian culture such as: religious grouping, caste, skin tone, country or residence and also whether the profile was created by the one looking to get married or by the parent or even sibling. As one can see, Shaadi is tailored specifically to the Indian culture and community where dating is much more a family effort and not as much an individual activity. 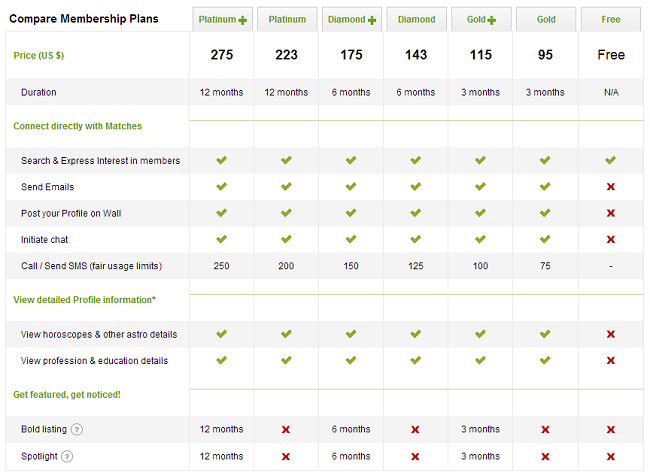 The price for a membership on Shaadi.com ranges from $0.00 all the way to $635. The types of services available vary drastically from each end of the price spectrum. As one would assume, the free membership is very limiting and really only allows one to create a bare-bones minimalist profile and only do a limited search. In addition, one is un-able to contact other members with the free version. Contrary to the free version, the most expensive version allows one to use all the features of the Shaadi website and also comes with one’s very own matchmaking consultant which basically guarantees that one will find a match. On average, the cost for one month on the site is ~$29, but the site requires its users to purchase the membership in three month increments, which means one can purchase 3, 6 and 12 month memberships respectively. Payment is very easy though as Shaadi accepts all major credit cards, net banking, checks and demand drafts and one can also even drop payments at convenient locations in India. As Shaadi is India’s top dating site for young men and women, there really are not too many criticisms. That said, the site is still not perfect. Cost is the biggest criticism of the site since one can really not receive the same benefits with a free membership compared to the highest ~$600 price point membership. 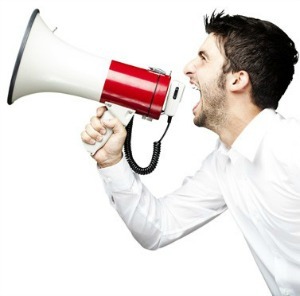 In addition, the advertising on the site has received a large amount of criticism since there is too much that it really detracts from the user’s experience and can even pop up at the worst times (ie – when viewing a user’s profile). The more money one pays for membership, the fewer ads hat are shown. So not only is it beneficial to pay to receive more benefits on the site, but one will also see fewer ads along the way. Lastly, the online chat functionalities could use improvement. 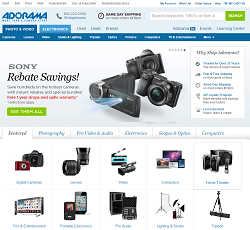 While the site does have an e-mail and messaging system, it is still working on a video chat functionality and there are no forums or chat rooms. This is largely done as a way to encourage users to visit a brick and mortar-dating center so that one can meet with relationship experts and even dates in person. The level of communication that one has access to with Shaadi varies depending on how much money one spends for the service. With the free membership, not only is one unable to message users, but one also does not receive any updates, newsletters or match e-mails from the company. However, if one pays for members all of these communication system capabilities are available at one’s fingertips. This is just another reason that paying for a membership is well worthwhile. Shaadi.com is one of the best-known Indian matrimonial websites around, so it is no wonder that millions of Indian men and women trust the site to find their potential soul mate. As the site continues to grow, it is expanding beyond India’s borders and in recent years has grown so that now 40% of members are based outside of India, which increases the potential for Indians living overseas to find partners nearby. In doing this, it is able to manage and merge traditional and modern Indian culture in a refreshingly flexible model that accommodates all types of Indians. So if you are living in a community where there are not many Indians, Shaadi.com might just be the best way for you to find your future soul mate! filed under Electronic Retailers, Online Retailer Reviews . 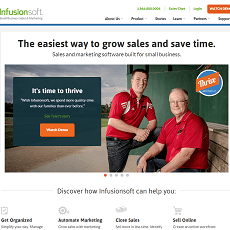 filed under Online Marketing, Online Services Reviews .